Bust out the antibiotics and prepare for an outbreak. 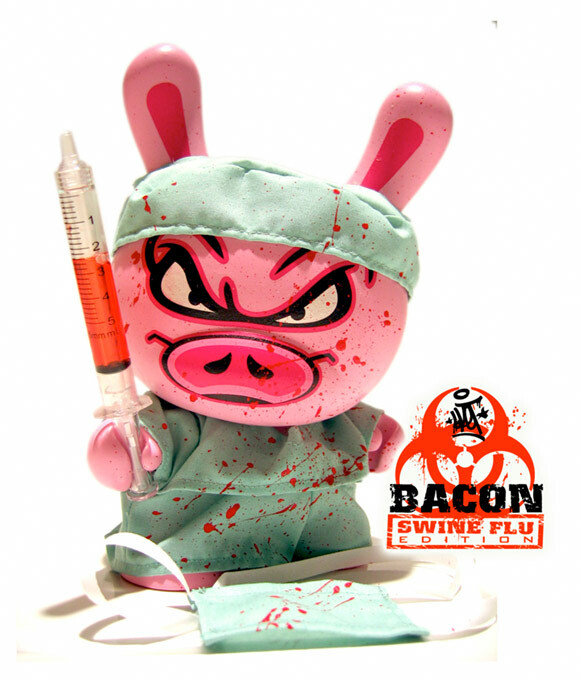 Sket One is releasing Bacon: Swine Flu edition. Originally cast in the Endangered Dunny Series, these 10 remarkably crafted 8-inch custom Dunnys are decked out in bloody scrubs and equipped with a gigantic syringe. These corrupt creations release this Friday March 12 on Sket’s web store for $475.